Never has the threat been more grave. To help pay for tens of billions in increased defense spending, President Donald Trump’s administration reportedly is considering eviscerating the Great Lakes initiative with a 97 percent cut. The U.S. Army Corps of Engineers has long been accused of being arrogant, closed-minded and high-handed toward Cleveland and the state of Ohio and not a bit concerned about finding a solution to a years-long dispute over Cuyahoga River dredge disposal. 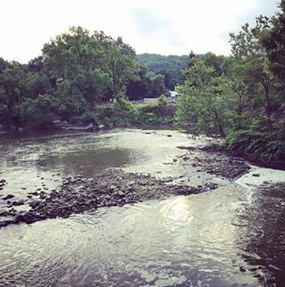 An environmental assessment of the Brecksville Dam is expected to be completed by the end of this month, followed by a public comment period in September, with a possible demolition date in 2017 or 2018. Lake Erie. It’s one of the region’s most valued natural assets–supplying drinking water to more than 70 communities in Northeast Ohio. The lake also supports jobs and recreation. Lake Erie is at the center of ongoing discussions between both the Ohio Environmental Protection Agency and the U.S. Army Corps of Engineers. While work may begin this year on the design phase for the removal of the Gorge Dam, other steps must be taken for the $70 million-plus project to move forward, according to an Ohio EPA official. According to an article in the Akron Beacon Journal, the federal government has agreed to cover 65% of the costs associated with the Gorge Dam removal. This amounts to 45.5 million in federal Great Lakes cleanup funds. For the first time in many years, the removal of the Gorge Dam is feasible. The city of Akron is poised to begin three sewer projects including two green sewer overflow projects recently approved by a federal agency. Asking for input. No word lately on plans for fostering public access to paddling the river. FOCR has joined MetroParks and others in supporting the city’s plan to build a launch to make safe access for paddlers. Obituary for river advocate and longtime FOCR member Marna Lilliedale Becker. The Consent Decree between the City of Akron and the US EPA has finally been approved. The $1.4-billion project to end discharge of raw sewage into the river during heavy rain events is scheduled for completion in 2027. The river’s cleaner now, so let’s sludge-up a Great Lake!